Summer Fun Scavenger Hunt ~ $100 Grand Prize! I’m one of the sponsors of the Summer Fun Scavenger Hunt. Entering the hunt is fun. 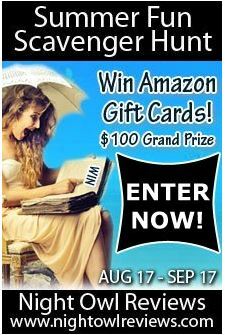 The grand prize is a $100 Amazon Gift Card!